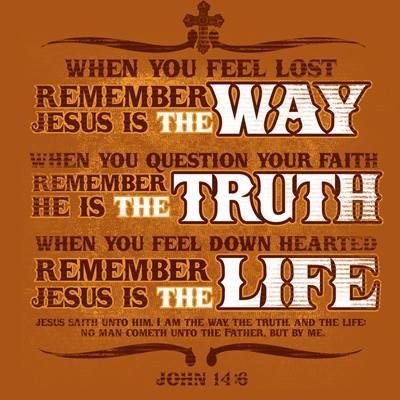 Jesus is the way to the Father. It is only through Him that we can be reconciled to God. He is also the way Maker. He can make a way when them seems to be no way. If we look to Him the author and finisher of our faith, He will provide a way for us. Jesus is the truth, the living Word of God. In John 17:17 Jesus tells us the Word of God is truth. The Bible does not define the Word as true, but truth. That is because in the natural we will be faced with things that are true. It may be true that our bodies could be dealing with some type of disease or sickness. It may be true that we could be facing a financial challenge or dealing with what may seem like overwhelming odds against us, but the truth can change what is true. If we will simply believe the truth then we can see what may be true changed by the truth. Jesus is life itself. The “Zoe” or God-kind of life is only experienced by coming to Jesus Christ and walking with Him. Death means to be separated from God and therefore life is being reunited with God, which can only happen through Jesus Christ. Follow the Lord’s example and walk in the way, the truth, and the life He offers all.